— > ~ :: WRITE-IN for the 106TH LEGISLATIVE DISTRICT :: ~ < — | Steve Todd – Passionate about things that matter. There were a total of 342 write ins cast. We did not know who they were until today. John Payne got quite a few Dems, I got more Rs than I thought I would (but you can’t combine them). There were the usual “anyone but these bums…Jesus Christ actually got one of them. They gave each of us all reasonable variations of our names. After all said and done Steven, Steve, Stephen, etc got 272. The process was very fair and transparent, so hats off to Dauphin County Elections folks who were there long before I got there, and likely long after I left. I will keep pushing Rep Payne to take more substantial positions than he has in the past 12 years and build for the future. Right now, I will focus on finding good progressive candidates, or announce intent to run, for Derry Twp Supervisor next year and improving our leadership in our Dauphin County Committee. All are encouraged to join in, or to pick their own issue and charge at it. We can take our government (back?). But we have to do so. Peace. May 21 PRESS RELEASE –Steve Todd May Have Won Dem Write-In for 106th District‏ !!! It looks like we may well have made it! Pending Dauphin County’s official count. 342 write-ins, I need 300 approved for me. We may have just achieved the extremely improbable and rare PA write-in win. Why the Heck Would I do This? 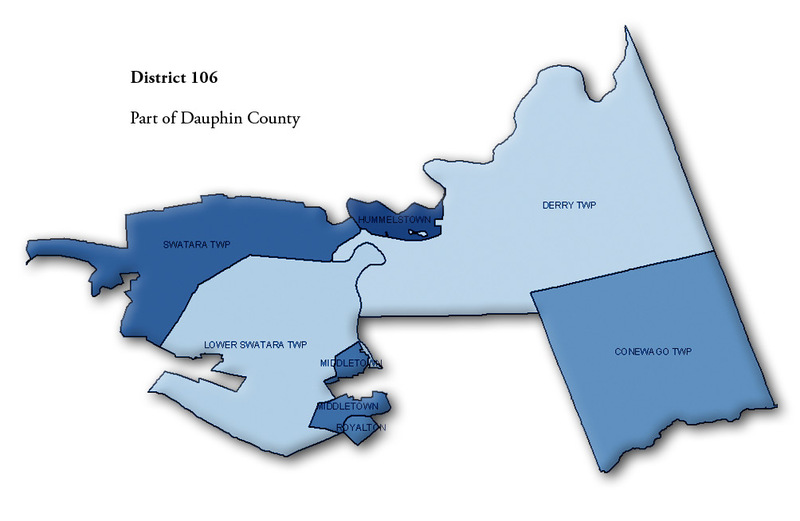 I have announced my write-in campaign for the 106th Legislative District in the PA General Assembly’s House of Representatives. I’ve stepped up to air issues too often ignored, but of importance to many of us. The Republican incumbent running for this office is a fine candidate. But he is running unchallenged in the General election. This, while 66% of PA Democrats think PA is headed in the wrong direction. We need 300 Dem write-ins in the 106th District. Where the Heck is the 106th? The 106th is shown on the map at the link. It includes Conewago, Derry, and Lower Swatara Twps; Hummelstown, and Royalton Boroughs; plus parts of Swatara Twp and Middletown Borough. Who the Heck is STEVEN TODD Politically? **Acknowledge and respond to harm from fracking. ***A generous severance tax and equal moratorium protections from fracking. ****Support organized labor, by opposing ALEC. *****Offer single payer healthcare, or at least expand medicaid. Who the Heck is STEVEN TODD Personally? My wife and I run Todd Engineering, a municipal engineering consulting firm. I also blog for Rock The Capital and report for The (Hummelstown/Hershey) Sun. My son attends Derry Township’s public schools, my wife is the chair of Gemma’s Angel’s gardening committee, while working on her Master’s Degree. We live in Derry, with our dog, Rosie and cats Pete and Squeek. How the Heck do I “Write In” STEVEN TODD? Bring two pens and these voting instructions to the voting booth. In the box: STATE REPRESENTATIVE; PENNSYLVANIA STATE HOUSE OF REPRESENTATIVES; DISTRICT 106; DEMOCRATIC PARTY, no candidate’s name appears. Press the “WRITE-IN” button within THAT BOX. Press RED flashing button in the upper right corner of the voting machine and the “WRITE-IN” slot will open. PRINT carefully “STEVEN TODD” with pen on the paper in the slot. Please double-check to make sure “STEVEN TODD” is spelled correctly or the vote won’t count. Complete the rest of your voting. Record your total vote by pressing the GREEN VOTE button at the bottom right corner of machine. Who the Heck has Endorsed STEVEN TODD? Proud to have been endorsed by the Capital Region Stonewall Democrats! The list grows each day, so check back often. How the Heck do I Donate to STEVEN TODD for 106? I am graciously accepting personal campaign contributions, as I’ve pledged no PAC cash for this write-in effort. Thank you for whatever you can do. What is oppion on marijunia? Jason: I will fight for immediate legalization of medical marijuana. I know too many kids and vets who suffering for us to wait any longer. I support decriminalization of small personal recreational quantities. We are building too many jails and ruining too many lives on non-violent offenders. Mr. Todd, I ran into you at my polling place this morning and was glad I did. I admire what you stand for and gladly gave you my vote. We need more truly progressive minds like yourself. If there is anything I can do to contribute, I’d love to know how. Best of luck. Heather: Thank you for the support and kind words. If I get the other 298 votes I need (since I’m pretty sure I’m also writing me in), I will be in touch to hear your progressive positions. We The People are awakening and this is our year. Take care. I’m on much social media and will seek you out there…not today though.